Over the past few months, Traveleyes have been in search of an organisation to work closely with, in an aim to reduce our carbon footprint. Travelling around the world and experiencing different cultures is one of life’s glorious gifts. These adventures, unfortunately, do come at a cost to the planet. In an aim to return the favour, and to thank the planet for giving us natural wonders like the Grand Canyon, the Great Barrier Reef and the Amazon Rainforest, Traveleyes have partnered up with Water-to-Go! Water-to-Go is a company that manufactures a water purifying system in a drinks bottle. Their ‘3 in 1 Filters’ were originally designed to be used by NASA and after further advancements, can now filter microbiological contaminants to well in excess of 99.9%. 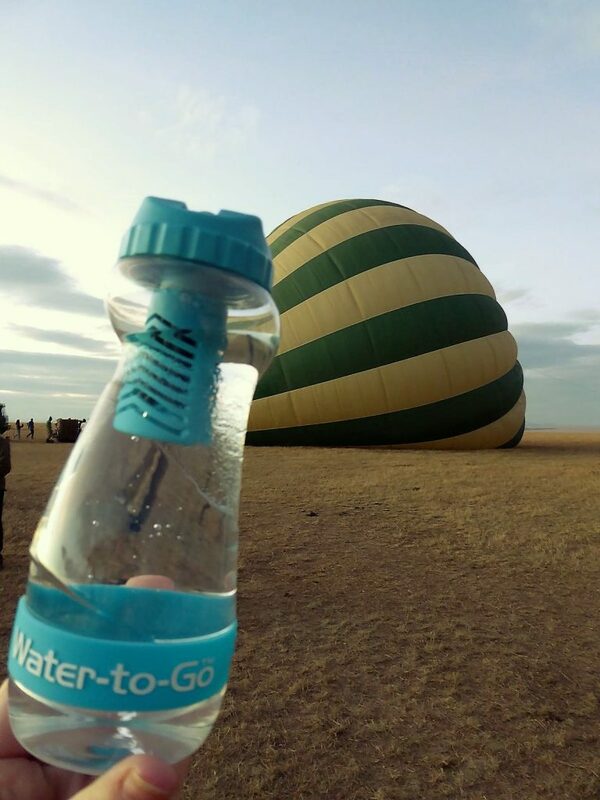 Travelling with one of Water-to-Go’s bottles means you are never far away from drinkable water. Through our partnership with Water-to-Go, we aim to inform our travellers about the effects of purchasing off-the-shelf bottled water, instead of filling a reusable bottle. Water-to-Go is committed to reducing the damage to the environment caused by the amount of single-use plastic bottles. Only 1 in 5 plastic bottles are recycled and plastic water-bottles can take between 400 and 1000 years to decompose. We often feel that when we are travelling, purchasing a bottled water can be a safer option, however, most tap water is more heavily tested than bottled water and tap water is over 1000 times cheaper. By using a Water-to-Go bottle and refilling it, you are helping make a difference not only to the environment but Water-to-Go is also helping Traveleyes and our continued support for Sightsavers. With every purchase of a Water-to-Go bottle through our partnership, 15% will be donated to Sightsavers to help their ongoing fight against preventable sight loss. What’s more, you too can receive a 15% discount on each bottle purchased by entering the code “TRAVELEYES” at checkout. A simple change can make a huge difference.